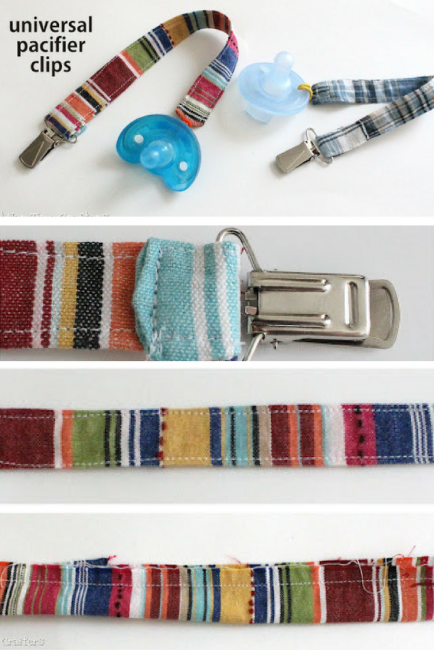 Universal Pacifier Clip Tutorial - Peek-a-Boo Pages - Patterns, Fabric & More! 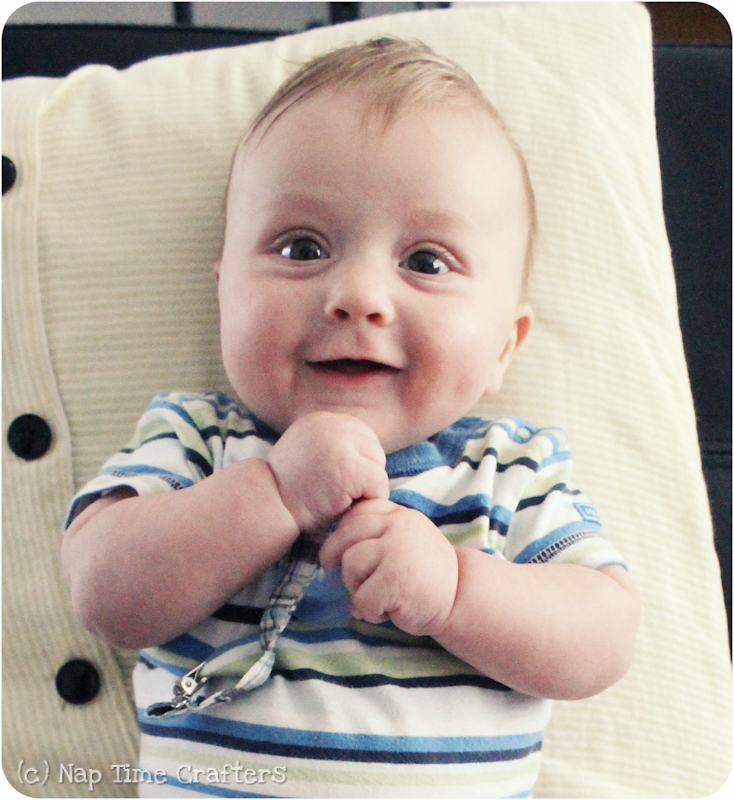 Today I have a pacifier clip tutorial for you for an easy project to make sure baby doesn’t lose his paci. 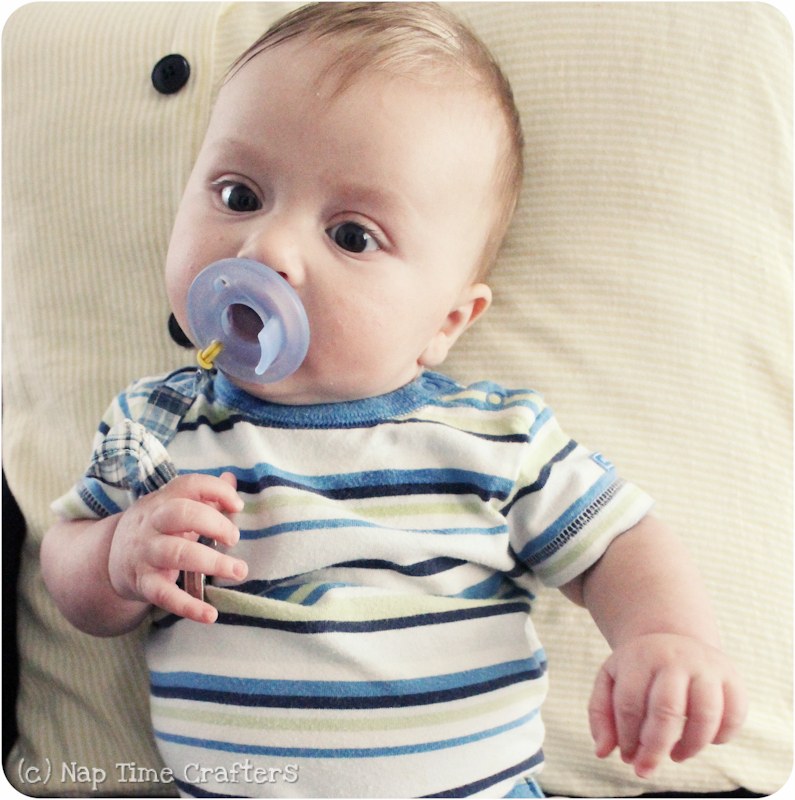 The only ones they had at Wal-Mart didn’t work with our favorite Soothie brand and let me tell you those pacis can bounce a long way when they pop out! This project takes all of 5 minutes and is cheap too! 1. Grab a scrap of fabric from your stash and cut an 11×2″ piece. Fold it in half with long sides together. In between the layers slip in a small hair elastic (or a loop of ribbon, etc.). Sew up one short end (the side with elastic) and the long edges. 2. Turn right side out and tuck in the raw edges on the other end. Topstitch around all edges making sure to stitch back and forth several times over the elastic to keep it secure. 3. 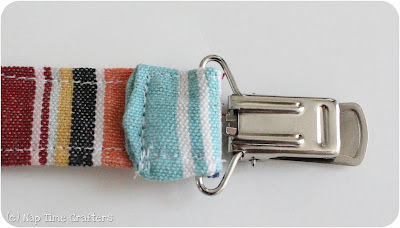 Slide the end without the elastic through a mitten/suspender clip and stitch down. How did you turn it right side out? I’ve tried a few different things including a crochet hook – ideas?